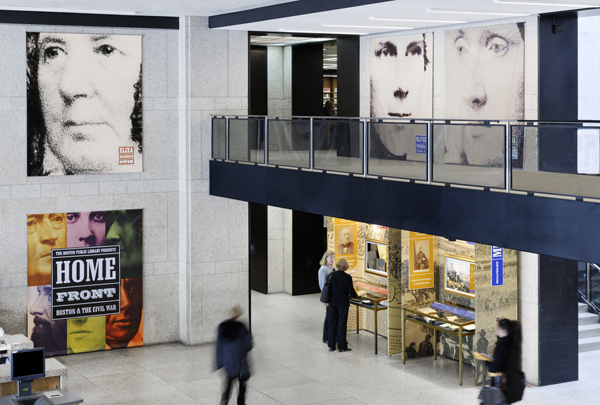 The Boston Public Library hired C&G; Partners to create a exhibition that chronicles the lives of ten historic heroes from the Boston area during the Civil War. 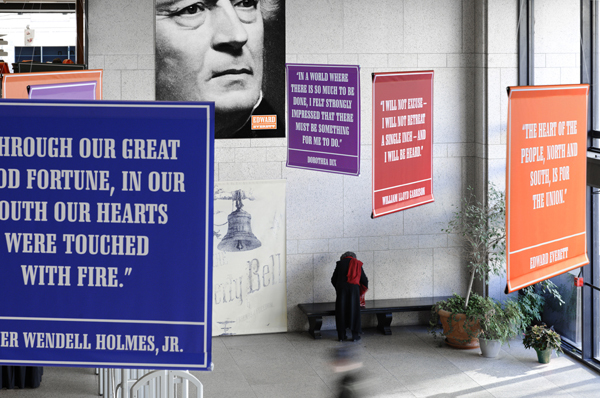 Ranging from nurses to soldiers, abolitionists to authors, each person profiled has a remarkable and memorable history. 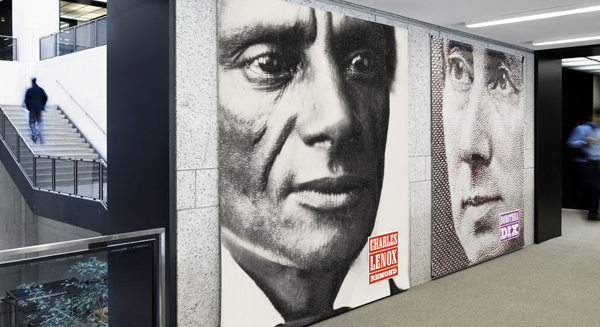 The exhibit project included a series of artifact-rich alcoves, overhead quote banners, large-scale cropped portraits, and a series of motion graphic mini-documentaries presented in gilded frames. All design and animation was by the firm. 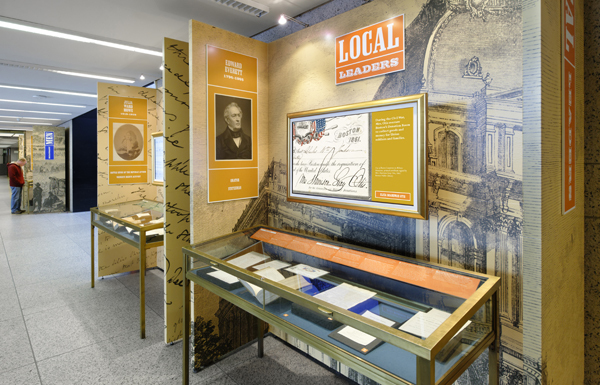 A strong brand identity system and color palette were used for the exhibit, media and advertisement placements.